Featuring a light version of its DS software, Delphi’s new diagnostic tool, the DS-nano™, offers broad diagnostic capability across an increasing number of electronic components. 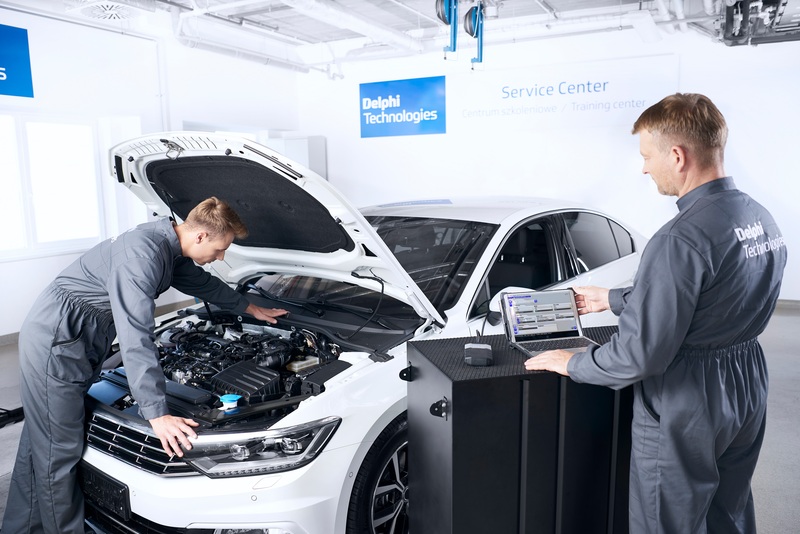 FRANKFURT, GERMANY – 12 September 2018 – An affordable new on-board diagnostics (OBD) tool from Delphi Technologies will help more garages benefit from accurate information on a fast-growing range of vehicle parameters. DS-nano™ is based on the same proven system as Delphi’s highly-successful, stand-alone DS150E and DS450 tools, just with a lighter functionality. The intuitive device gives technicians the ability to read and erase fault codes, recode and activate components and reset service lights for key systems including fuel, ignition, diesel, brakes and air conditioning. This makes it an ideal tool for garages taking advantage of the rapidly growing diagnostic opportunity with minimal investment. DS-nano™ will be commercially available early 2019. DS-nano™ is a VCI (Vehicle Communications Interface) only solution, helping to further reduce costs. It uses the same powerful, feature packed diagnostic interface as the proven DS150E and DS450E and is paired with a tailored version of its car and light commercial vehicle software. The DS-nano™ offers lighter functionality compared with Delphi Technologies’ established DS150E and DS450E solutions. It provides seamless, quick and intuitive diagnostics of the key vehicle systems, across a wide range of makes and models. Supporting an extensive vehicle database, the software is packed with intuitive features such as intelligent system scan for the systems covered by the tool, intelligent system identification and a built-in report function. Delphi Technologies is a technology company focused on providing electric vehicle and internal combustion engine propulsion solutions, in addition to solving emissions and fuel economy challenges for the world's leading automotive OEMs. Delphi also provides leading aftermarket service solutions for the replacement market. With Headquarters in London, U.K., Delphi Technologies operates technical centers, manufacturing sites and customer support services in 24 countries.